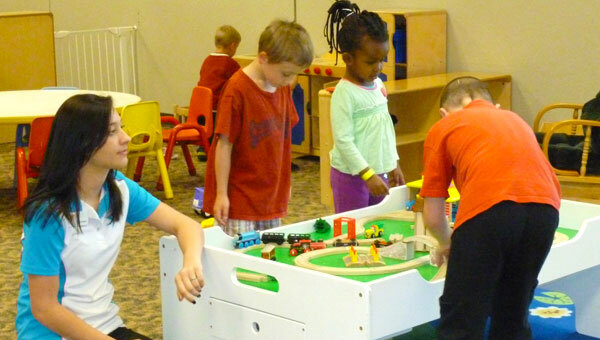 When you come to work out at the YMCA, consider bringing your children along for the fun that awaits them at Kids Stuff, the Y’s child care program. Children ages six weeks to 10 years can participate in age-appropriate activities in a safe environment—free for members. Reservations aren’t required, and your child can enjoy Kids Stuff for up to two hours a day while you are in the building.